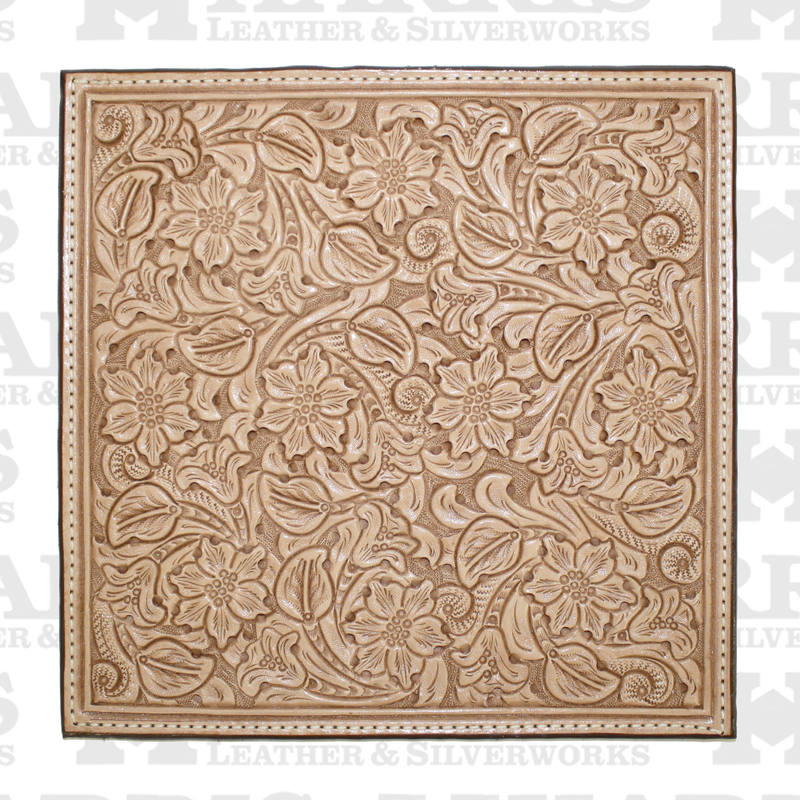 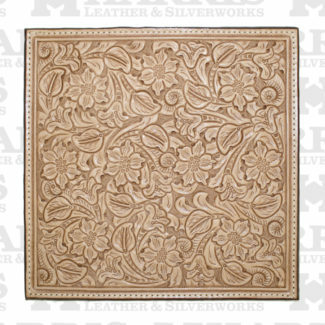 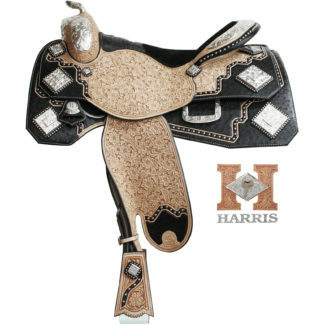 A unique and eye-catching style centered around genuine black ostrich and natural hand tooled leathers, paired with the perfect amount of sterling silver accents. 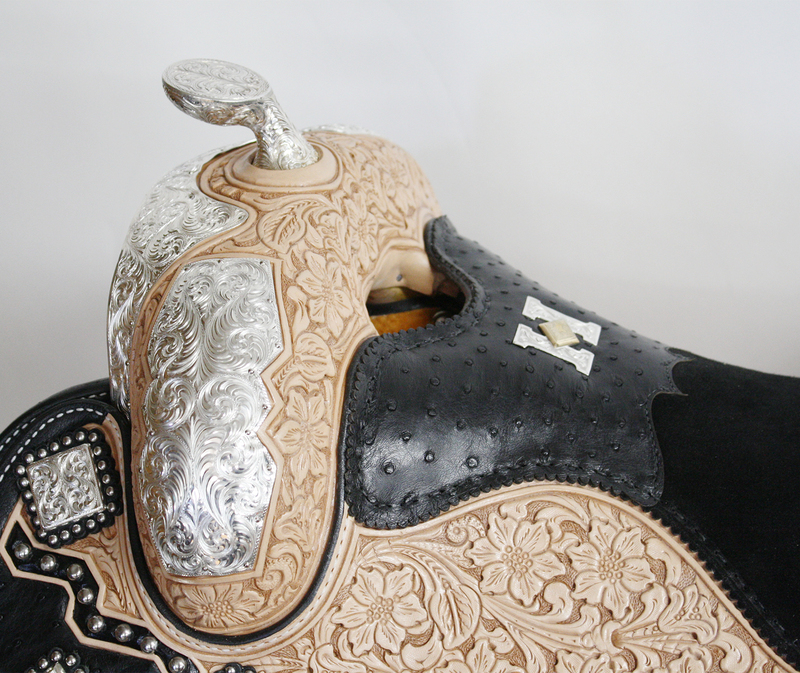 The black ostrich sweeps along the skirt edges and provides a stunning backdrop for the raised platform cornerplates and other silver accents. Other unique details incorporated into this design are the black ostrich leather on the fenders, and an ostrich leather hybrid saddle seat. Please contact us at (336)874-2100 or (336)874-2194 if you have questions regarding saddle #212. 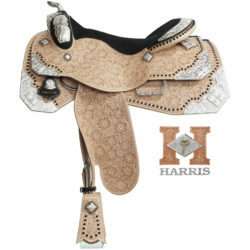 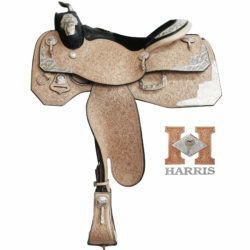 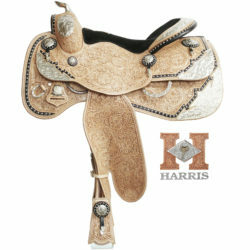 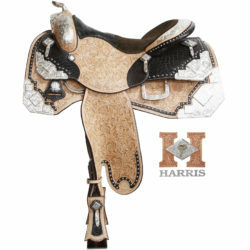 Categories: In Stock Saddles, 16 1/2"